This is part two of a three-part series on tutoring by guest blogger Geraldine Haggard, author of our Kaleidoscope Series books Helpers, Four Seasons, Seeds, and What Is a Friend? To see her other posts, click here! Very young children, who are not yet readers, use their vocabularies as they begin to speak and communicate with others, but vocabulary is greater than this. The American Heritage Dictionary defines 'vocabulary' as "the sum of words used by and understood by, or at the command of a particular person or group." This blog will be concerned with developing the vocabulary of students of all ages.A study of research based on vocabulary development indicates that great value is placed on vocabulary development from an early age. The youngest students begin to acquire reading and writing skills. Many who enter the school setting still have limited receptive vocabularies. The acquisition of decoding skills allows the student to 'transcode' speech into print. Many young children have meaning vocabularies that are larger than their literate vocabularies. Older students and adults often have larger literate vocabularies than their meaning vocabularies. Young children develop vocabulary as they listen and speak. The vocabulary of a book read to children becomes part of their speaking vocabularies. I remember my three-year-old grandchild who ran back and forth in an airport waiting room chanting, "Catch me if you can. I'm the Gingerbread Man." I now have two great-granddaughters. These two are three and five years old. The five-year-old began some time ago to 'read' or use 'book talk' as she reads to her younger sister. It is obvious that children and adults who have large speaking vocabularies tend to have larger listening, reading, and writing vocabularies. Teachers of all ages and levels are finding that integrating reading and writing into the content areas can enhance the development of reading and writing vocabularies. Multiple exposures to special concept words can begin with hearing and seeing the concept word. Reading and writing the word can follow. I spend Thursday mornings in my daughter's first-grade classroom, and I see this happening as an integrated approach to the content areas and language arts is used. Books on a special topic being studied are read to the children. Guided-reading time is based on leveled books that use the special vocabulary. Children write about their new knowledge in writing journals that are used during content-area time, including math. In the years during which children are becoming readers and writers, there is a close relationship among all four aspects: vocabulary listening, speaking, reading, and writing. The wise teacher helps the children transfer vocabulary skills from one form to another. 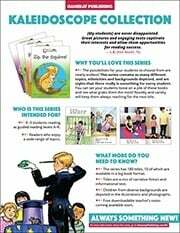 Research indicates that many children who read at grade level in the third grade will not automatically become efficient readers in the following grades. This lack of later achievement is likely due to weaknesses in language development and background knowledge. Research tells us that the weakness is not a result of decoding problems or inability to comprehend narrative texts. The culprit is the children's lack of ability to comprehend informative texts. (Progress in International Reading Literacy Study (2003). www.pirls.org). 1.The teacher's familiarity with a text can help her/him select vocabulary for which students will need instruction. 2.Listening to students as they discuss a topic can help the instructor realize what vocabulary is not being used by students. 3.Helping students use the glossary, sub-topics, and other vocabulary aids in the textbooks can promote independence on the part of the student. 4.The students' use of a reading journal can provide the opportunity to list words not understood. Asking the students to share some of these words can be the basis for some mini-instructional sessions to help the students. The use of vocabulary in writing was provided for parents of my daughter's first grade students. Open House was in March. She had collected writing for each child for each month that the children had been in school. On the night of Open House, the children sat with their parents and shared their writing progress over the school year. The teachers had had writing conferences with each and shared what she saw in their writing. The students talked about their writing and how they thought they had grown. The writing vocabulary is based on listening, speaking, and reading. The parents got to experience their children's excitement about what they had learned and about the joys of being an author. Yes, vocabulary development is important. It is important for reading and writing development and greatly influences school success.